Comfort Art Hotel Siru has 101 spacious bedrooms all with private bathroom, direct-dial telephone, satellite TV, welcome tray with tea & coffee. (in executive rooms). 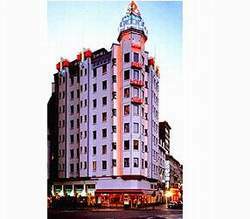 You will love this Art Deco building, with its 101 original pieces of arts. 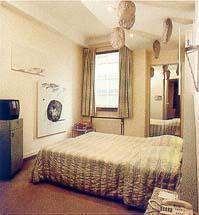 All the bedrooms and corridors have been decorated by 130 Belgian artists. As a result, no two guestrooms are alike. You'll also find a safety deposit box, a data port and a hairdryer. Business visitors will be pleased that the hotel has its own meeting rooms. A number of rooms are reserved for the exclusive use of non-smokers. 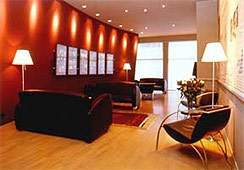 The staff members are extremely friendly and offer you a dry-cleaning service. 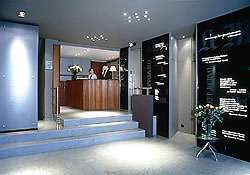 There is a pleasant onsite Brasserie, serving breakfast, lunch and dinner. The Comforts Art Hotel Siru is just steps away from fine dining, shopping and entertainment venues. Le Saint - Germain offering a relaxing European bar atmosphere. 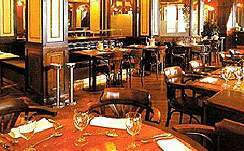 Buffet breakfast, luncheon and dinner in an attractive Paris style brasserie. The best value for money in town. Banquets from 10 to 100 persons. Traditional cuisine and excellent menus. The Chef plans menus according to season and his inspiration. Attentive and efficient service.